Plymouth International Book Festival first ran in 2012 and was the first large scale celebration of international and UK writers that Plymouth has ever seen. 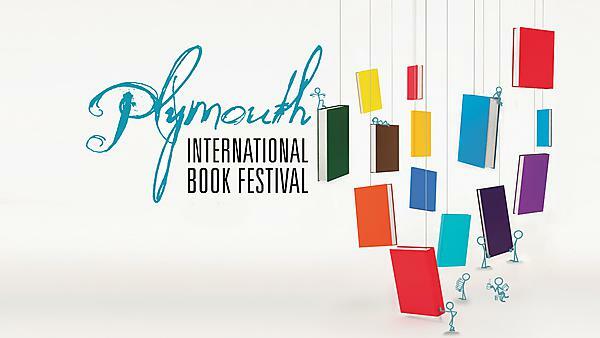 A literature festival that promises something for everyone to enjoy, Plymouth International Book Festival boasts a programme of readings, talks, poetry, workshops, demonstrations, music and film. The festival is a partnership between Literature Works, The Arts Institute, the University of Plymouth and Plymouth City Council which has opened up a new chapter in Plymouth’s cultural life, bringing an annual programme of literary events to the city. Literature Works is dedicated to bringing the highest quality literature to within the reach of everyone in the South West. As the literature development agency for the region, we identified Plymouth as an area where there was significant opportunity to create a new, urban Book Festival to enhance access to reading and writing activity across the city. This project enables us to achieve our aim of providing literature development support to the whole region in a way that is sustainable and locally supported, ensuring that the positive benefits of reading and writing are within reach of all communities. Open to the public, all year round, we have the largest contemporary art gallery in Plymouth and host exciting exhibitions from internationally renowned artists. Through our diverse programme of films, talks, performances and music we provide access to wide-ranging, high quality arts and cultural experiences, influenced by the expertise, research and scholarship of the University and its partners, to the communities of Plymouth and the South West and visitors to the region. Find us on the ground floor of the iconic Roland Levinsky Building, University of Plymouth, Drake Circus. Visit our website to see the full programme of events and to book tickets. Plymouth City Council is a co-operative council fully committed to strengthening the cultural offer of the city, helping realise Plymouth’s aspirations to be a world class waterfront destination with global reach and one that engenders a sense of pride in the city and its people as a place to live, work and visit. Working with strategic partners, PCC will continue to work innovatively with arts and cultural providers for the greater benefit of the city’s creative ecology and communities, enabling us to demonstrate the impact of arts and culture and the inward invest this generates.